I guess this post is pretty fitting in celebration of today. Enjoy! These days you can't step too far without seeing something with bacon. 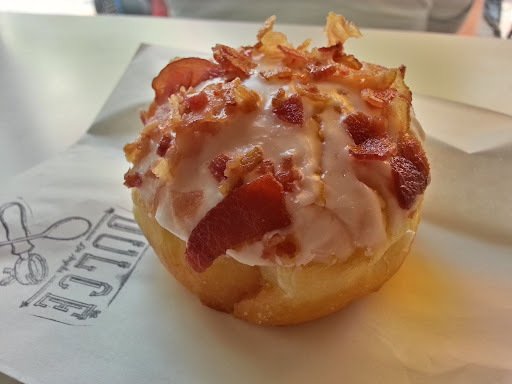 Bacon donuts are nothing new, but often the savory sweet combination can be a winner. These bite size donuts were topped with a thick frosting and pieces of crispy bacon. While the bacon had good flavor and was not overly salty, I found the frosting to be too much. It reminded me of store bought cake frosting. 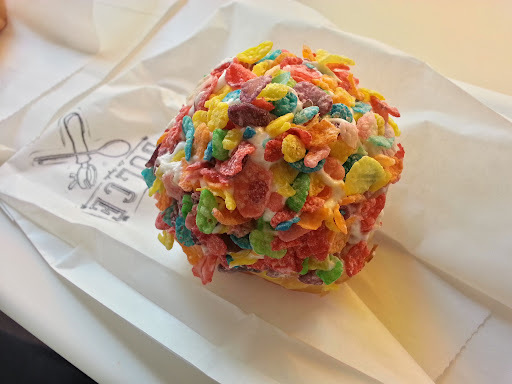 Still with the taste of fruity pebbles on my mind from my dessert at Trick Dog (see post HERE), I was immediately intrigued by the fruity pebble donut. The crispy cereal flakes gave a nice crispiness to the donut, but not sure if I loved it so much I would order it again. Fun and really colorful though! 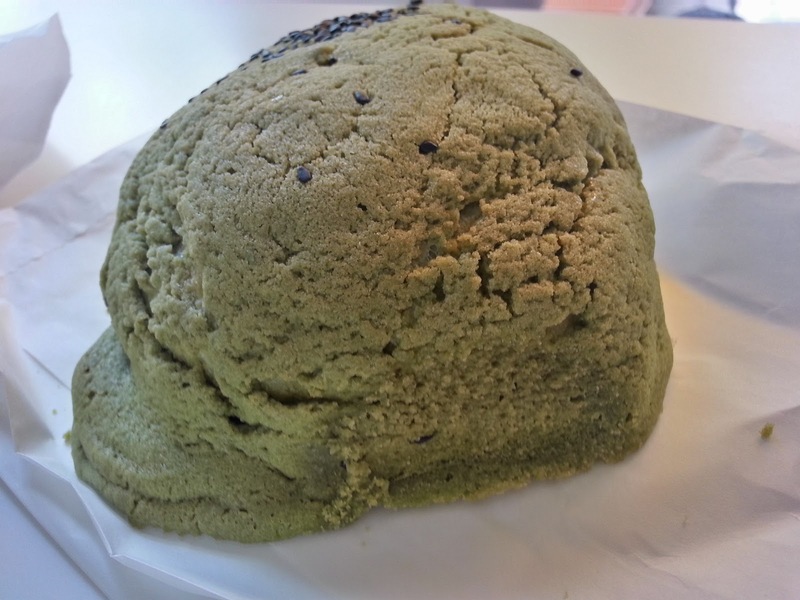 I'm not stranger to roti buns, having had my share at HoneyBerry back home (see post HERE). 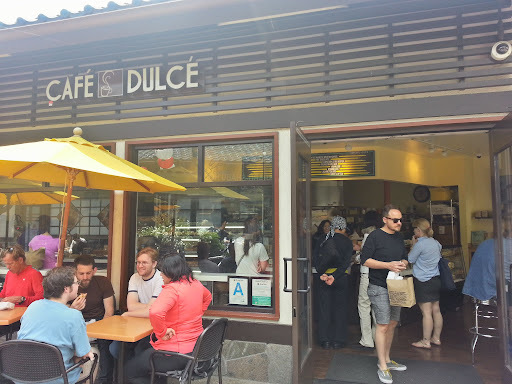 Cafe Dulce offers a variety of flavors: chocolate, green tea, blueberry, cherry, etc. Having just purchased a bag of pastries that exceeded my daily carbs from Yamakazi Bakery, I limited myself to just one roti bun - green tea. The top was really crunchy. The bun had an amazing deep matcha green tea flavor, which I love. I liked these much more than the ones at HoneyBerry back home. Only regret that I didn't purchase each of the flavors. Next time!